Pictured below are typical examples of our satin stitched, custom embroidery and monograms of various symbols and text options for choir robes and stoles. Many styles are available in two colors. Embroidery will be sized to appropriately fill available area on stoles or yokes as specified by you and your choir. You can also obtain custom embroidery, silk screening, sublimation, and other types of impressions. Adding specialized impressions to gowns and stoles requires a bit more time and effort. Your organization's non-standard specific symbol (other than those pictured below, which come with the listed prices) requires a setup fee, and per-impression fee that is calculated based on the complexity, size, and type of impression. We will also need a good, clean digital copy of your symbol emailed to us, and some additional time to produce the impression. Please contact Academic for details, and see also the Embroidered Design section of our honor stoles article for some examples. The setup fee to render your design ranges from $75.00 to $125.00 (or more if we have to re-do the design) depending on the complexity of the design, and the quality of the image you supply us with. We request that you email us a copy of the proposed design as a standard .jpg or .gif file, or in one of the vector art files listed below (see below for complete list of file options), that meets our specifications. Faxes or rough sketches will increase the setup fee, as we will have to use the services of our in-house artist to recreate the design before rendering it. There is a minimum of 25 applications of any given design. So, for example, if you are choir robes with a symbol on one part of the robe, it would be a minimum 25 choir robes. When submitting your design, please try and keep in mind the visible space available for your design. 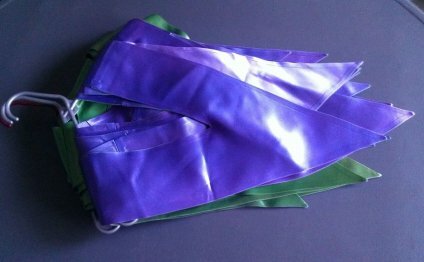 For example, our stoles are about 32 inches long each side, and about 4 and one-half inches wide. However, some of that length is a tapered section near your neck that would not be visible, and another is a tapered section that comes to a point at the bottom of the stole. Realistically there is only about 18 to 19 of vertical length to work with on a stole, and around 4 of horizontal width, on each side. There is usually a bit more room to work with on a robe, depending on where you want to place the embroidery.